Kaurna is the language of the city of Adelaide and the surrounding Adelaide Plains. Traditional Kaurna territory extends from the Light River in the north to Sellicks Hill in the south. It is bounded by Gulf St Vincent to the west and the Mt Lofty Ranges to the east and the south. Kaurna country lies to the south of the countries where the closely related languages Nukunu and Ngadjuri were spoken. Adelaide tribe, Coorna, Gaurna, Jaitjawar:a ('our own language'), Karnuwarra ('hills language,' a northern dialect, presumably that of Port Wakefield), Kaura (misprint for Kaurna), Kaurna (used by AIATSIS), Koornawarra, Kurumidlanta (Pangkala/Barngala term, literally 'evil spirits'), Medaindi (group living near Glenelg), Medain-die, Meljurna ('quarrelsome men,' said of northern groups of Kaurna), Merelde (Ramindjeri term applied most frequently to the Peramangk but also to the Kaurna), Merildekald (Tanganekald term also loosely given to Peramangk), Meyu, Meju (Kaurna for 'man'), Meyurna, Midlanta (another name given by Pangkala), Milipitingara, Nanduwara, Nantuwara ('Kangaroo speakers,' name given to northern groups), Nantuwaru, Nganawara, Padnaindi (group name), Padnayndie, Taralye meyunna, Wakanuwan (name applied by Jarildekald to this and some other tribes, including Ngaiawang), Warra (means 'speech', a name for language), Warrah, Widninga (Ngadjuri term applied to Kaurna of Port Wakefield and Buckland Park), Winaini (group north of Gawler), Winnay-nie, Winnaynie. It is generally accepted that Kaurna territory covers the entire Adelaide Plains, extending from Crystal Brook and Clare in the north, and south to Cape Jervis on the tip of Fleurieu Peninsula. It is bounded on the west by St Vincents Gulf and to the east by the Mt Lofty Ranges. This territory confers with that identified as Kaurna country on Tindale’s (1974) map, but differs with Berndt and Berndt (1993) A World That Was, which extends Ngarrindjeri territory well north of Cape Jervis. Kaurna is the only name for the language in current use, having been popularised by Tindale after 1926. In the nineteenth century the German missionaries referred to it as the language of the ‘Adelaide Tribe’, while Klose recorded Wito Meyunna, literally ‘reed men’, for the people of Adelaide and Taralye Meyunna, literally ‘stockade men, for those who lived at Piltawodli (which was ‘The Native Location’ in Adelaide on the River Torrens). The Kaurna living at Rapid Bay were known as the Patpa Meyunna, literally ‘south people’. Other names used for the Kaurna included the Kauwandilla (Cowandilla) Tribe and the Tarndanya (Darnda Gunya etc) Tribe. Wyatt (1879) records Meyurna ‘people’ as the name of Onkaparinga Jack’s Tribe, who was one of the main sources of the language as we know it today. Practically speaking, there is now just one variety of Kaurna in use, however there appears to have been at least four dialects of Kaurna once spoken. Different words for the verb ‘to go’ seem to be a dialect marker (with ‘padnendi’ in the north; ‘murrendi’ at Aldinga and ‘wenendi’ at Rapid Bay). There is little possibility of restoring a detailed knowledge of such dialect differences. Kaurna is closely related to the Narungga, Nukunu and Ngadjuri languages. Barngarla and Adnyamathanha are a little more distantly related but still share numerous words. Further north, 29% of Pitjantjatjara vocabulary is said to be cognate with (or similar to) Kaurna words. Kaurna is referred to as a ‘sleeping’ language by Kaurna people today, rather than the more derogatory term a 'dead' language. Now that the language is being revived, people refer to Kaurna as being ‘woken up’, despite it not yet being spoken fluently as a first language. The last person to speak the language fluently would have been Ivarityi who passed away in 1929. There are at least several hundred who now identify primarily as Kaurna people and several thousand with known Kaurna ancestry. Forty to fifty Kaurna people have participated in formal courses or workshops attempting to learn the language, together with a number of Aboriginal people from other language groups, along with scores of non-Aboriginal students. The use of some Kaurna terms and expressions, which were developed within formal courses and workshops, has spread within the Kaurna community and to some extent within Nunga society in Adelaide. The work of the German missionaries, Teichelmann and Schürmann, are the main and by far the best source of knowledge of the Kaurna language. They produced a sketch grammar, a vocabulary of about 3,000 words and recorded hundreds of translated sentences, but very few texts (see Teichelmann & Schürmann 1840; Teichelmann 1857; Teichelmann 1858 listed under Archival Resources). Missionary Klose also preserved several letters and texts written by Kaurna children as well as Teichelmann and Schürmann’s translations of six German hymns. Their Kaurna translations of the Ten Commandments and one of Governor Gawler’s speeches also survive. A range of other sources produced in the nineteenth century also exist, but are of lesser quality. More recently Jane Simpson (now at the Australian National University) has worked extensively on Kaurna grammar and its relationship with neighbouring languages, though much of this material is unpublished. She has also written papers on Teichelmann’s (1857) manuscript dictionary (Simpson 1992), Kaurna personal names (Simpson 1998) and the early Pidgin Kaurna language (Simpson 1996). Rob Amery completed a PhD in 1998 at Adelaide University entitled Warrabarna Kaurna!  Reclaiming Aboriginal Languages from Written Historical Sources: Kaurna Case Study. He analysed the Kaurna historical sources and reviews attempts in the 1990s to relearn and use the Kaurna language for a range of purposes. A reduced version of this thesis has been published (see Amery 2000). Amery continues to work on Kaurna, acting as a consultant to Kaurna language programs and initiatives. Chester Schultz is currently undertaking exceptionally detailed work on Kaurna placenames going back to the very earliest records in an attempt to identify information that has come directly from Kaurna people. There are 21 early sources that have been found to date which record some aspect of the Kaurna language, beginning with a wordlist of 168 words collected by the French naturalist Gaimard aboard the Astrolabe in 1826 from two Kaurna people, Harry and Sally, who accompanied sealers to King George Sound in the southwest of Western Australia where Albany is today. The quality and size of the various Kaurna sources vary, but all have been accessed by Amery and used to piece together the jigsaw of reconstructing the Kaurna language. The most useful sources are Teichelmann & Schürmann’s (1840) publication Outlines of a grammar, vocabulary, and phraseology of the aboriginal language of South Australia, spoken by the natives in and for some distance around Adelaide and Teichelmann’s unpublished (1857) wordlist. However, other wordlists such as Wyatt (1879), Williams (1840), Piesse (1840) and others provide some additional information. See Amery (2000) for a more detailed description of the sources. Altogether, somewhere between 3,000 and 3,500 Kaurna words were recorded in historical sources, with most by the German missionaries (Teichelmann & Schürmann, 1840) and Teichelmann (1857). William Wyatt (1879) recorded some 651 words, including 100 that did not appear in the German sources. William Williams (1840) recorded 377 words, of which about 30 were not recorded by Teichelmann & Schürmann (1840) or Teichelmann (1857). A composite Kaurna wordlist Warra Kaurna was published in 1997 (see Amery 1997), which is organised by topic or domain. This includes the vocabulary in Teichelmann & Schürmann (1840), Teichelmann (1857), some additional words imported from the lesser sources and new terms developed in the 1990s. New terms include items such as ‘computer’, ‘whiteboard’ and ‘reading’ needed within the school context, together with sporting terms, numbers, days of the week, months of the year and holidays etc. Additional vocabulary items within the context of childrearing and homelife were developed in a series of workshops held in November 2000 (draft edition published, Amery & Gale 2000). Still more new terms were adopted in the process of compiling a Kaurna Learner’s Guide. Teichelmann & Schürmann (1840) and Teichelmann (1857) were keyboarded as electronic files by Jane Simpson and recently converted to a Shoebox database by Howard Amery in 2001. These wordlists will soon be available as an English-Kaurna reversal. A Kaurna dictionary project, funded by the Commonwealth through the MILR program is currently underway. It is planned to record sound files for all Kaurna words recorded in historical sources as well as more recent neologisms. During 2010 and 2011 a new spelling system has been introduced which aims to simplify and regularise how Kaurna is written, while still reflecting some of the conventions used by Teichelmann & Schürmann which many people are already familiar with. A good sketch grammar was produced by the Dresden missionaries (in Teichelmann & Schürmann 1840) and additional grammatical notes prepared by Teichelmann (1858). Further observations are embedded within Teichelmann's extensive vocabulary (see Teichelmann 1857). Jane Simpson is currently writing a grammar of Kaurna based on a compilation of historical sources and comparisons with related languages. A set of thirteen language learning lessons for the ‘Kaurna Language & Language Ecology’ course at Adelaide University recorded on tape with an accompanying transcript (Amery, Watkins & Rigney 1997). A phonology tape recorded (Amery 1997) to teach pronunciation. This consists of Kaurna words with known Nukunu cognates. Several HyperCard stacks by Amery (Sounds & Spellings; Multiple Choice questions on example sentences taken from Teichelmann & Schürmann 1840; Moving objects according to instructions given). These were used in Kaurna programs at Inbarendi College and Kaurna Plains School in the mid-1990s. Modules of work on Kaurna Kinship and Kaurna Placenames published within the AILF materials (SSABSA 1996: 22-25). At times these have been a prominent feature of Kaurna programs. Numerous worksheets and translation exercises have been produced in association with Kaurna workshops and for the senior secondary programs, but have never been collated and published. Examples of some of this material is included in Amery (1998: Vol.2: 153-200). A number of photocopied booklets produced by Cherie Watkins for Kaurna Plains School. These include Nganna Karrendi ‘What Can Fly?’, Yaintya Ngai ‘This is me’ together with counting books, booklets to support excursions, and games such as a Kaurna version of Bingo. Adult students of Kaurna have produced board games and other language learning materials. A detailed program for study at senior secondary level was developed by Amery for the School of Languages in 2003. This included modules of kinship, placenames, Dreamings and conversational topics. Kaurna songs in Narrunga, Kaurna & Ngarrindjeri Songs (by Ngarrindjeri, Narrunga and Kaurna Languages Project 1990) were the first Kaurna language materials produced and remain a very important element of Kaurna language programs. In the first (1990) songbook seven of the 23 songs produced made use of Kaurna words. Some were entirely in Kaurna, others included a Kaurna verse or words in English. In 1995 an additional set of 25 Kaurna songs were written and recorded and later published in Kaurna Paltinna: a Kaurna song book (Schultz et al 1999). Most of these songs are much more complex than those published previously. Since then, numerous other Kaurna songs have been written. Only a few of these have been published. For example, Nelson Varcoe’s song Nguya Nguya Murradlu – Reconciliation was published by the South Australian Primary Schools Music Society (SAPSMS 1998). Several stories have been written in Kaurna including Wai Yerlitta! ‘But Dad!’ (Varcoe 1990) and Freddy Kanto ‘Freddy the Bullfrog’ (Wanganeen 1990) and a Kaurna translation (Amery 1992) of Tucker’s Mob by Christobel Mattingley. Other translations of popular children’s books were undertaken, but the books have not yet been produced. Several more are planned, but this remains an area in urgent need of work. Popular kinship and locations guessing games were developed by Amery for the School of Languages program. Buckskin has since developed numerous language games for use with children. These have been very popular at Kaurna Plains School. A Kaurna Learners' Guide Kulluru Marni Ngattaitya: Sounds Good to me! A draft prototype version has been written by Rob Amery with the Kaurna Warra Pintyandi group, and the final verson is to be published by Wakefield Press soon. It is a very graphic user-friendly guide to the language, organsied by topic, with many expressions and conversational elements that can assist those want to learn to use the language for everyday purposes. It has an accompanying CD with sound files. A Kaurna Curriculum R - 10 for schools is currently being written by Jasmin Morley in collaboration with Kaurna Plains School. It comprises 30 modules organised by topic, and with three strands for each topic including: Communication, Learning about Language, and Learning about Culture. The Kaurna Radio and Downloads project is producing two hour-long radio shows in and about the Kaurna language. Each show features a language learning module and banter in the Kaurna language. The shows will be made available on CD and for podcasting. A printed transcript will also be made available. Kaurna is currently taught to relatively small numbers of students at all levels of education – early childhood, junior primary, primary, junior secondary, senior secondary, adult and tertiary level programs. Since 1990, when these programs began, there has been a steady expansion of programs. A few have been shortlived, but most have continued to operate despite staff turnover and minimal outside support. Kaurna was introduced as the school language (LOTE program) in 1992 at Kaurna Plains School. This program has operated continuously since then. A senior secondary AILF program was introduced at Elizabeth City HS and Elizabeth West Adult Campus (now called Para West Adult Campus) in 1994. The latter program has operated on and off since then. In 2003 a Year 11/Year 12 program was developed for the School of Languages. This program has been taught at Adelaide High School, Warriparinga, Kaurna Plains School and LeFevre High School in evening programs, mostly to interested adults. These programs have een taught by Jack Kanya Buckskin since 2008. A Year 8 program was introduced in 1997 at Fremont-Elizabeth City HS. Courses have commenced in several other schools. In 2000, there were 221 students learning Kaurna in schools, though these figures do not include the enrolments at Fremont-Elizabeth City HS. By contrast, in 2009, there were 517 students learning Kaurna some time in the year in metropolitan Adeaide. The schools involved in these 2009 programs included: Adelaide High School (124 students including a single term Year 8 program), Kaurna Plains School (157 Aboriginal students), Ocean View P-12 College (10 students), Salisbury North R-7 School (47 students), School of Languages (29 students) plus Smithfield Plains Junior Primary (100 students) and Smithfield Plains Primary School (50 students). In 1993, a Kaurna course was introduced at Tauondi into the Cultural Instructors and Tourism course. This course focussed on fauna, flora, artifacts, ochres, kinship and other culture specific topics, together with greetings and introductions, in accordance with the language needs in cultural tourism. About 15 to 20 students were enrolled in this course each year, but the course is no longer running. In 1997 Kaurna Language & Language Ecology was introduced by Rob Amery at the University of Adelaide.  It relocated to the University of South Australia as Kaurna Language & Culture from 2002 until 2004 and thereafter back to the University of Adelaide. When the course was first introduced it taught about the Kaurna language as well as teaching students to speak and use Kaurna. When the School of Languages courses were established, the tertiary course became a course in Kaurna linguistics and revival linguistics. Those who wish to learn to speak Kaurna are referred to Buckskin’s courses offered through the School of Languages.  To email messages on the computer via the internet etc. KWP has established a database of Kaurna requests and the use of Kaurna in the public domain and is mapping these names onto GoogleEarth. In 2011 there were 800 entries in the database with many additional names yet to be entered. KWP also entered into a joint project with the Geographical Names Unit and the fours southern councils (City of Onkaparinga, City of Marion, City of Holdfast Bay and Yankalilla Council) to establish a Kaurna Placenames website (http://www.kaurnaplacenames.com) which also maps placenames on GoogleEarth.